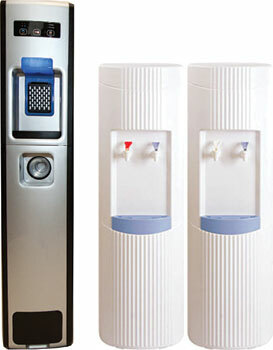 Bottle-Less Coolers | Water Specialties, Inc.
30+ years experience & licensed contractors. Certified Master Water Specialist by Water Quality Association. Routine scheduled filter replacement, as suggested by the manufacture. Kind and knowledgeable sales and maintenance staff. Coolers feature state of the art leak protection. Automatic water shut off with leak detection available. Ability to work on all types of POU coolers and filtration systems. Water isn't exposed to outside elements. Call Water Specialties today at (801) 281-4911. We’ll assist you in selecting the best cooler for your business at our lowest price.